Our amazingly talented craftsmen possess many of the same skills and use many of the same techniques as artisans in Spanish colonial Mexico. This talent is reflected in this lovely, handcrafted Spanish colonial chair. 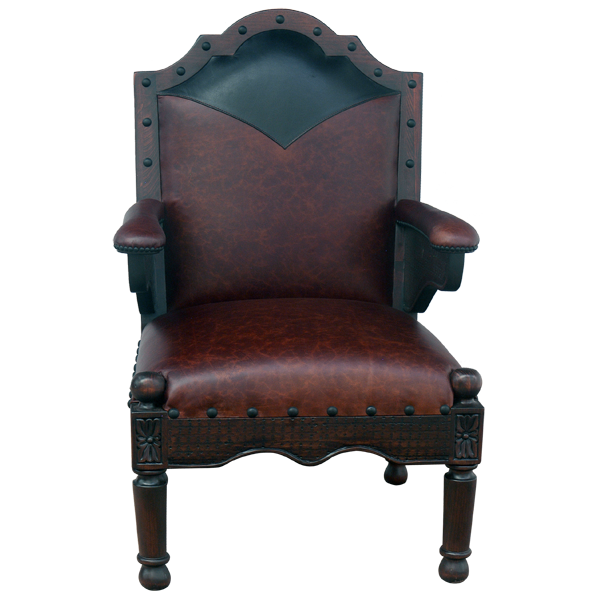 The seat, armrest, and the lower seat back are upholstered in earthen colored full grain leather, and the upper seat back is upholstered in black full grain leather with a Western cut design. The upholstery is precision hand tacked to the entire wood frame by our skilled craftsmen. Also, the leather is double stitched together for extra strength and durability. 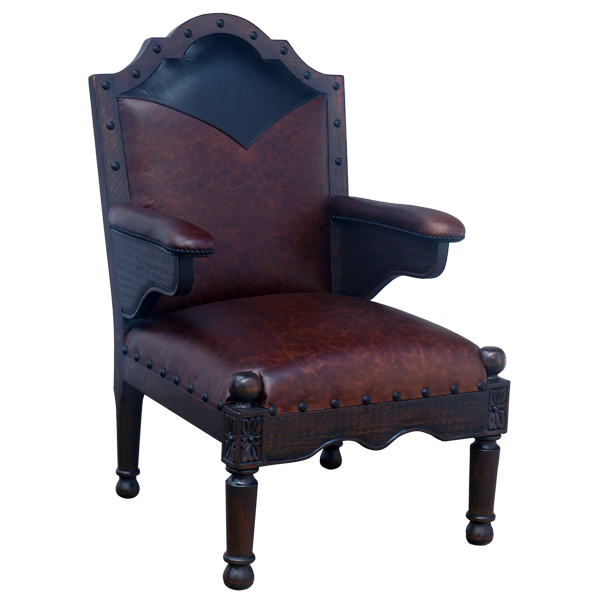 Its Spanish colonial style armrest are both comfortable and handsome. 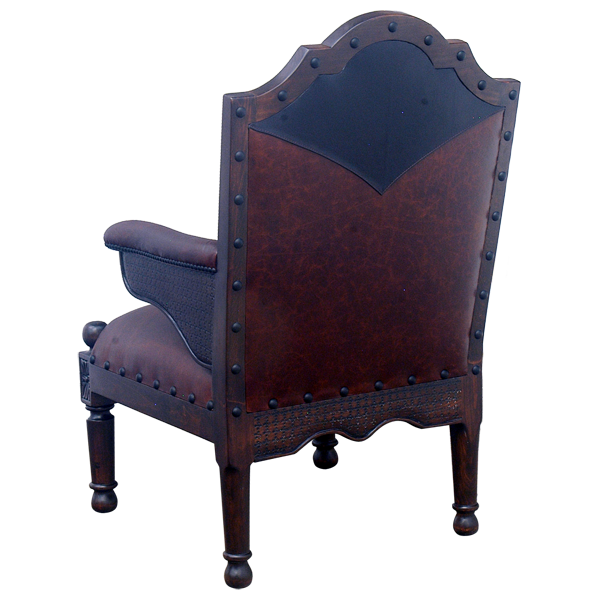 The lower front of the chair has a beautiful, cut, curved design with hand forged nail adornments. The chair rest on lovely, hand turned, straight legs, joined by an “H” solid stretcher. The chair is made with the best wood available, and it is 100% customizable.